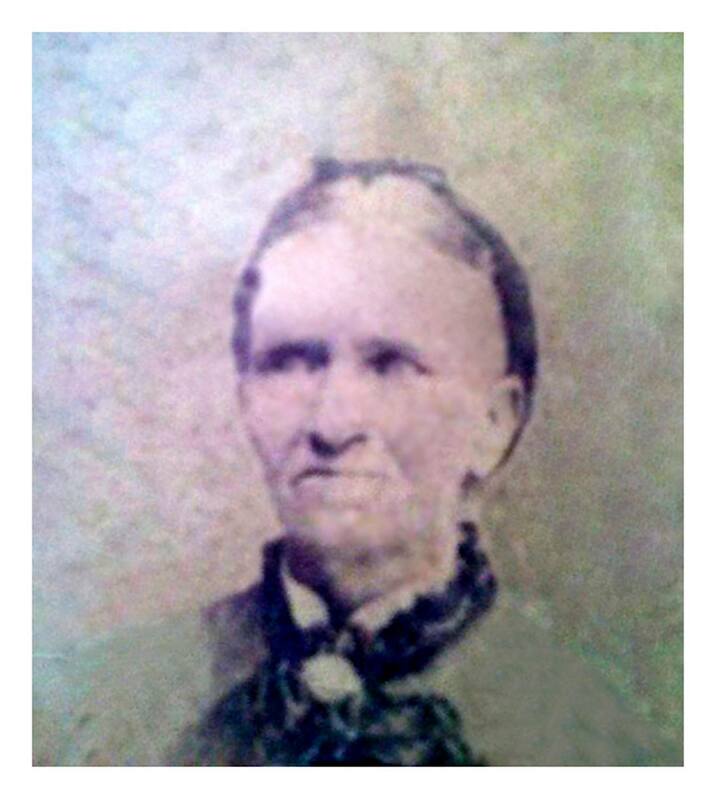 On this International Women’s Day, I’d like to celebrate the life of my great great grandmother Anastasia Maher. She was born at a time and a place where a new world was emerging. Her childhood was spent in a melting pot of cultures fixated with making a fortune on the Bendigo goldfields. Girls became women from an early age in a community where males outnumbered females by four to one. Despite being outcast from her Irish Catholic family she raised 13 children throughout her adult life. Her descendants have memorialised her life by placing a bronze plaque at her gravesite. Here is her biography. Anastasia Maher (1856 – 1926) was born in a tent along Derwent Gully on the Bendigo goldfields on 25 April 1856. Her parents were Michael & Mary Maher, Irish immigrants from County Tipperary who were puddling for nuggets to make their fortune. They were Roman Catholics who worshipped at the newly built St Killian’s church where they had Anastasia baptised sixteen days later on 11 May. She was the eighth child of twelve born to Michael & Mary. 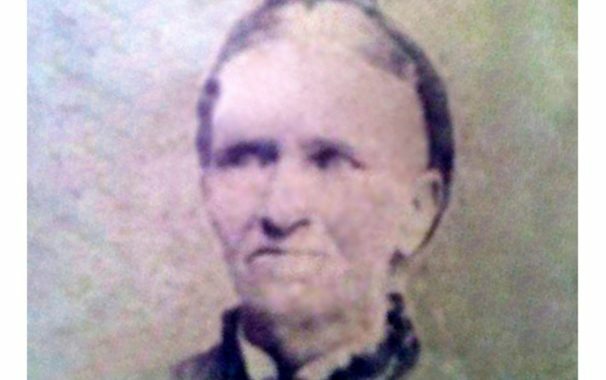 Having survived her childhood on the rugged goldfields she fell pregnant to her sister’s husband Neville Francis Gray when she was just 14 years old. Her parents disowned her when they discovered she was with child. She soon found herself before the Eaglehawk Police Court on 10 March 1871, a homeless neglected child. The bench recommended she be admitted to the Bendigo Asylum but her friends intervened and she was spared being institutionalised. When her time came to give birth she waddled up to her parent’s hut seeking assistance in childbirth from her mother. In the pains of labour she was denied help. She made it to their nearby pigsty where she gave birth unassisted to her daughter, Louisa Maher. She was found later that day in shock wandering the bush with her naked baby. Desperate for support she hooked up with a sixty year old ex-convict Samuel Wright. He was abusive to her so she left him and sought refuge with some friends at Dead Horse Flat. On the morning of 2 August 1872 Samuel burst into the hut of Robert West and Elizabeth Dean where she was staying. He begged for her return but Anastasia refused. Enraged by her rejection he hit her in the head with a miner’s pick. She escaped outside where he tried to hit her again but he was stopped by a nearby miner Arthur Hagan who heard the cries of ‘Murder’! Arthur was also hit in the head with the pick. Robert West stepped in to halt any further blows. Samuel Wright was arrested then later charged with attempted murder and was executed by hanging on 11 March 1873 at the Castlemaine gaol. Bearing the stigma of sending a man to the gallows, Anastasia formed an intimate relationship with Robert West and went on to have four children with him – Mary Ellen, William James, Catherine and Albert Lewis Maher. They were never married but paternity was proven through DNA testing in 2017 for Mary Ellen; and he is recorded as the father of Albert Lewis on his birth registration. When their relationship ended in the early 1880’s Anastasia moved out of his hut and resettled with her five children not far away in Myers Flat. Not long was she there when she formed a new relationship with Chinese gardener James Wang Ah Ling. They had eight children together from 1885 to 1901 – Henry, Herbert, Edward Ernest, Leslie Claude, Samuel Horace, Edward Ernest (2), Rita Gladys and Percival Emanuel Maher. Anastasia and James were married by the Chinese missionary James Lee Wah on 10 August 1892 at the All Saints church, Bendigo. My great grandfather Samuel Horace Maher was the only child of the eight who was registered. He was born on 23 May 1892 before they were married and as such his parents are recorded as Annie Maher and Maher. His baptism record however, lists him as Samuel Horace Ling and his parents as James Wang Ah Ling and Anastasia Maher. All of Anastasia’s children used the surname of Maher instead of West or Ah Ling. Although they were a proud Irish-Chinese Australian family they felt compelled to hide their Chinese heritage due to racism in the community. When Government policies like the Commonwealth Franchise Act 1902 which disqualified people of ‘coloured races’ from voting in the first Australian Federal Election of 1903; and The War Precautions (Alien Registration) Regulations 1916 requiring citizens of non-British descent to complete a Form of Application for Registration as an Alien were enforced our family was directly affected by them. Just because James was not permitted to vote it did not deter Anastasia from participating in the first group of women to vote on 16 December 1903. She did not miss her opportunity and enrolled to vote listing her address as Williams Road, Myers Flat. The Maher family resided in Myers Flat on the outskirts of Eaglehawk, north of Bendigo on Williams Road from the early 1880’s up until 1916 when they abandoned their house and moved into the city of Bendigo. Her husband James Wang Ah Ling died on 17 May 1912. On the electoral roll of 1919 Anastasia is listed at 222 Wattle Street with the occupation of nurse. Anastasia is recorded as the midwife present at the birth of most of her grandchildren born to her two daughters Louisa Ah Loong and Mary Ellen Lougoon. Louisa and Mary Ellen both married Chinese market gardeners from Myers Flat. Due to her illness Anastasia and her sons moved to a bigger house at 115 Olinda Street, Quarry Hill. She was suffering from skin cancer to her nose and face. Her grandson Douglas Lyle Lougoon remembered her ‘lying in bed with a sore nose’ and that she was known to be an ‘old devil’. The carcinoma troubled her for two years before she succumb to exhaustion and the effects of the cancer. She died on 22 January 1926 and was buried the next day in the Bendigo cemetery. She was greatly missed by her family who placed touching memorials to her in the Bendigo Advertiser newspaper at the time of her passing and in the following year. Her death registration records her parents as Michael Gray, a miner and Mary Keane and her name as Anastasia Maher. 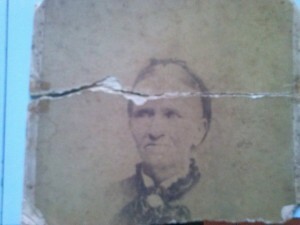 Even at her death she has retained the Maher surname and her family have falsified her details to maintain her honour. Until recently there was no headstone at her gravesite. Funds were raised through the ‘Descendants of Anastasia Maher’ Facebook group and on 25 April 2016 a memorial plaque was placed there, 160 years to the day of her birth date. DNA tests of Beverley Hitchcock, Brian Lougoon & Doug Lougoon. Ancestry DNA, 2017. Birth certificate of Albert Louis West, born 8 April 1882, Registrar of Births, Deaths and Marriages, Victoria, 8743/1882. Marriage certificate of Anastasia Maher and James Wang Ah Ling, married on 10 August 1892, Registrar of Births, Deaths and Marriages, Victoria, 4020/1892. Australian Government, ‘Federal Registration of Legislation’, Commonwealth Franchise Act 1902, https://www.legislation.gov.au/Details/C1902A00008, Accessed 11 May 2017. Australian Government, ‘Federal Registration of Legislation’, The War Precautions (Alien Registration) Regulations 1916, https://www.legislation.gov.au/Details/C1916L00165, Accessed 11 May 2017. Ancestry, Australian Electoral Rolls, 1903-1954, Australian Electoral Commission, Accessed 25 August 2017. Death certificate of James Ling, died 17 May 1912, Registrar of Births, Deaths and Marriages Victoria, 5386/1912. Ancestry, Australian Electoral Rolls, 1903-1954, Australian Electoral Commission, Accessed 5 September 2017. Death certificate of Anastasia Maher, died on 2 January 1926, Registrar of Births, Deaths and Marriages Victoria, 332/1926. Bendigo Advertiser, 22 January 1927, p.2. Unknown photographer, Anastasia Maher, Bendigo, VIC, C. 1900, Family collection of Darren Dineen. Thank you Lyndal for sharing this touching and realistic short story of the life of our great-great grandmother Anastasia Maher – a tough life on the goldfields and probably a rewarding life as well as a mother and grandmother of a whole bunch of her family. You have done much research and brought together many of Anastasia’s descendants in writing about the life of Anastasia . Thank you! You’re welcome Denise. I find bringing the family together in the Facebook world and beyond is very rewarding. You have a great talent Lyndal and your story telling is very interesting. You have done so much work and it is a credit to you. Well done. Thank-you. I find the process very compelling.